Do you want to buy a house with no money down?? USDA Rural Development can help you! Lenders and USDA Rural Development have teamed up to provide 100% financing to individuals and families who buy a home in a rural area. Closing costs payment can come from any source. It is not limited to first time home buyers. New Lower Upfront Funding Fee Along with a Low Monthly USDA Fee. The United States Department of Agriculture (USDA) created the Section 502 Rural Development Guaranteed Home Loan Program - or USDA Loan - to assistlow income familiesachieve the dream of homeownership. Though referred to as the USDA Home Loan, the USDA does not lend any money for the 502 Guaranteed mortgage but partners with approved lenders who finance each home. However, with the Section 502 Guaranteed Loan, the USDA does play a key role by backing a portion of each loan to safeguard lenders in case of loss. It is with this backing, or guarantee that lenders can offer eligible rural homeowners favorable rates and terms. Take the first step toward your USDA Home Loan by filling out our easy and simple application on polarishomeloans.com. The USDA Home Loan is a perfect option for those who reside in rural areas, suburban areas and even suburbs of major metropolitan areas. These guaranteed loans have assisted thousands of homeowners to purchase a home with affordable interest rates and loan terms; however, before you begin searching for your home, there are a few things you must take into consideration. With the USDA Home Loan, certain home loan qualifications must be met for the home to be eligible. With requirements that include construction standards, income standards, and cost limits, it is best, to begin with, the right expectations so that you will have a much easier time locating a home that is suitable and functional for your family, as well as the USDA Loan program. Call us today to take advantage of our streamlined process to obtain a USDA loan. We are the #1 lender in OHIO for USDA loans. 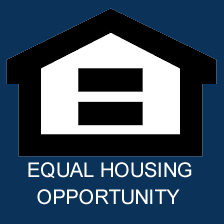 A home purchased through the USDA home loan guarantee program must be located in a qualified rural area. The qualified rural area is defined as open country places, and homes in cities with populations of 10,000 or less. Under certain conditions, the home may be located in towns and cities of 10,000 to 20,000 in population. If you have questions regarding whether a potential home is in a qualified area contact us today at 740 314 5324. A certified home inspection approving the soundness of the foundation, framing and meeting all local and state codes. A builder's 1-year home warranty. Structurally sound - The home must have been built using materials that achieve a structurally sound construction. The home must be in good repair at the time of purchase. as a dwelling. An adequate bedroom to bathroom ratio is taken into consideration. A functional home must have running water, appropriate ingress and egress, and proper heating, cooling, and venting. A barn converted into livable quarters may indeed make a good home. But it must meet the functional test. Any size or design - A USDA home loan mortgage is good for homes that are any size and design. As long as you the borrower qualifies for the mortgage amount, you could purchase any size home that meets the needs of your family. However, the USDA home loan program stipulates that the home must be "modest" in size and design. According to the USDA Rural Development website, modest is "property that is considered modest for the area, does not have a market value in excess of the applicable area loan limit, and does not have certain prohibited features." Owner occupied only - The home you purchase for yourself or your family must be your primary dwelling. Homes purchased through the USDA home loan guarantee program cannot be income producing, meaning you may not rent the home to others or make it a commercial building. Finding the right home to purchase using the USDA home loan guarantee program can be daunting. But knowing first-hand what you need to look for will help you shorten your shopping time - allowing you to move into a beautiful home soon! We strive to make this process an easy one, this is why we are the #1 lender in Ohio for USDA Loans!! !